Firstly this book was incredible, seriously i can’t even think of words to describe how good it was. This was my first time reading anything by Scott Lynch and I’m really impressed, he is a fantastic author and extremely talented. I’m so glad I picked up this book. I enjoyed it from page one, although I must admit it took me over 100 pages to understand what was going on, this story is written in past & present, so the chapters can be really confusing at the beginning. After getting used to Scotts writing style I was blown away, I feel like it’s nearly impossible to pull off a book with past & present chapters especially when it jumps around a lot, but Scott Lynch managed pulled it off. The plot is slow paced but builds up to a massive story, normally not my cup of tea because it doesn’t have much violence or magic in the plot but still the definition of badassery! 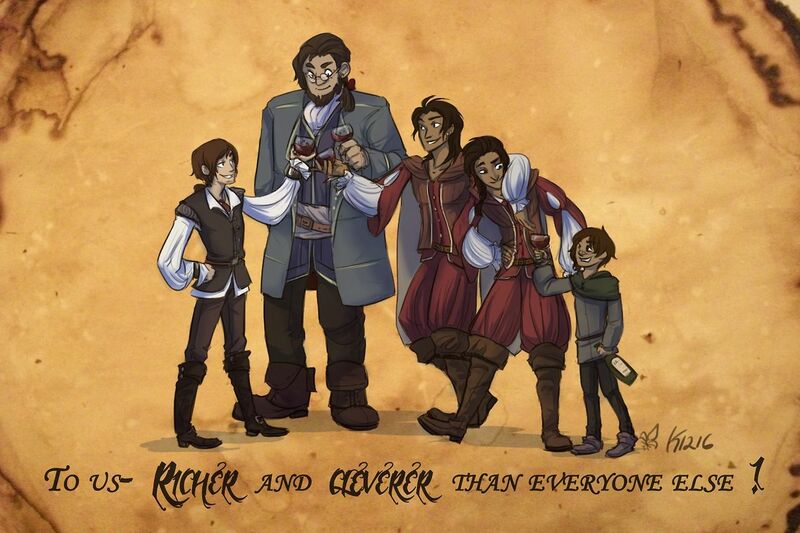 Oceans Eleven meets The Bank Job meets Mistborn. Seriously this book was so much fun to read. I love gangsters and I love criminals so with the complex plot, this book was a 10/10. This book is on my favourite shelf and in my top five favourite books ever. I literally loved reading it. I was so captivated by the plot & the characters. I read some of the reviews for this book and saw a lot of people complaining about the amount of swearing…. The swearing made it hilarious and I loved it so much. Scott Lynch literally swears in every sentence (just like me haha). I can’t remember ever laughing so much in a fantasy book. Only had one issue it felt really long, like some description went on and on, some also weren’t necessary at all. Yes Scott Lynch is a beautiful and interesting world builder, however some parts just went over the top, I did skim a lot of descriptions, except characters and important scenes. So basically this book is about gangs, there are all different gangs and they are all under one leader the Capa, the gangs each have a leader but the leaders work under the Capa and must pay him to keep their gangs running. The story follows a gang called the gentlemans bastards, all members are orphans and are all trained to be gentleman & the best theifs around. Our main character Locke is a professional liar & the story follows him and his childhood. 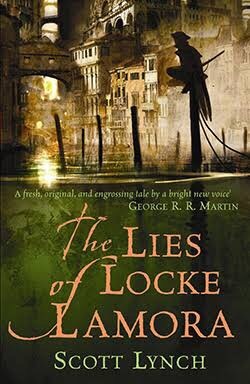 I absolutely adore Locke, he is everything I look for in a character he is badass, a liar, a criminal & a thief but he is also such a gentleman (swoon worthy). So basically Locke and his gang try to pull off one of the biggest thievery jobs ever, however it doesn’t go to plan and their is a new gang boss on the scene thirsty for revenge. P.S. When I grow up I want to be in the gentlemen’s bastards. I was a bit confused in the beginning as well, but the style of writing kept me going. And then I soon fell in love with all of the characters (fan of the jean/locke bromance here as well!) and liked it even more, when it turned dark.